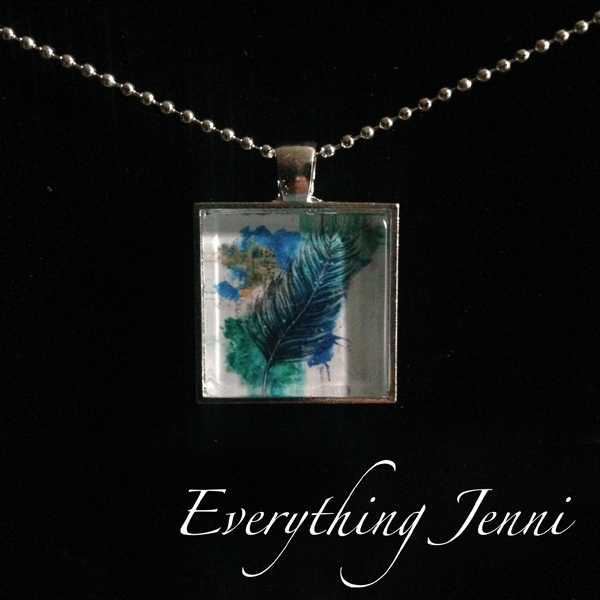 Recently, Jenni has been working with watersoluble mediums that blend together to create rich colors and textures. 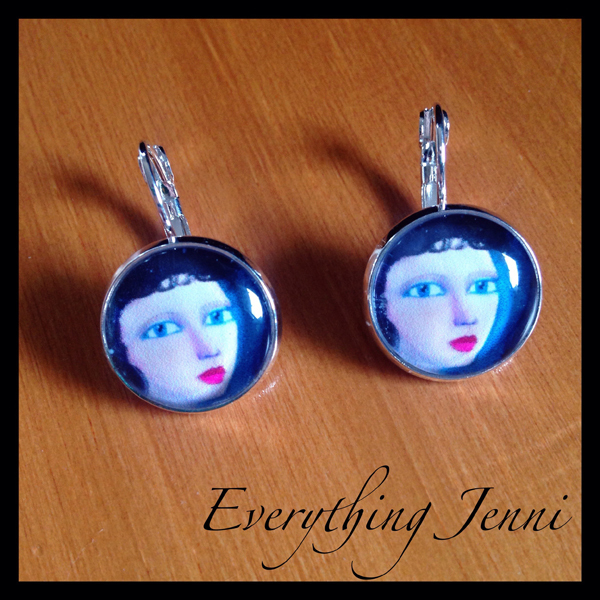 Here you will find jewelry available for purchase. Each item is packaged with absolute care. 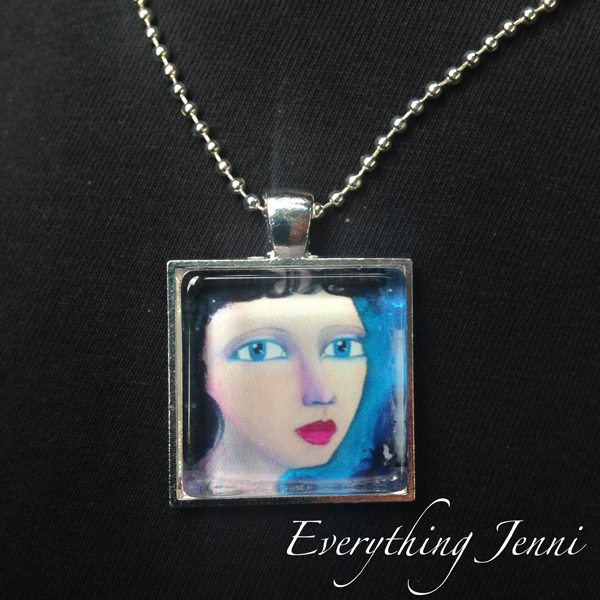 Necklace is created with an original print by Jenni Burgan. The print is covered with a glass bezel. Each necklace has a silver ball chain. 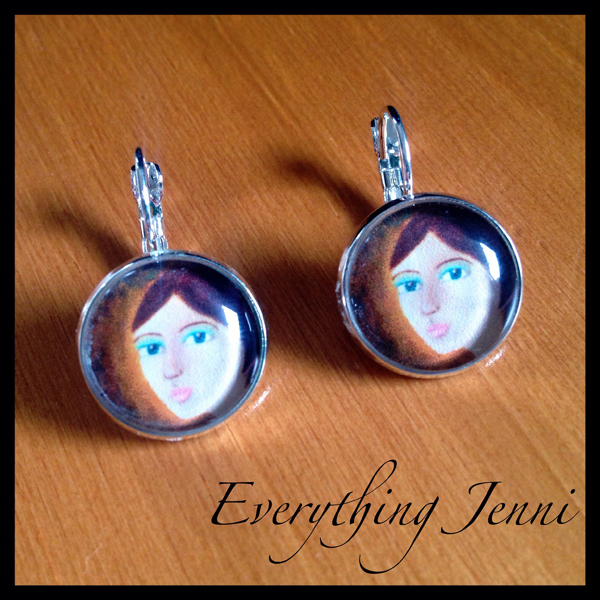 Earrings are created with an original print by Jenni Burgan. The print is covered with a glass bezel. 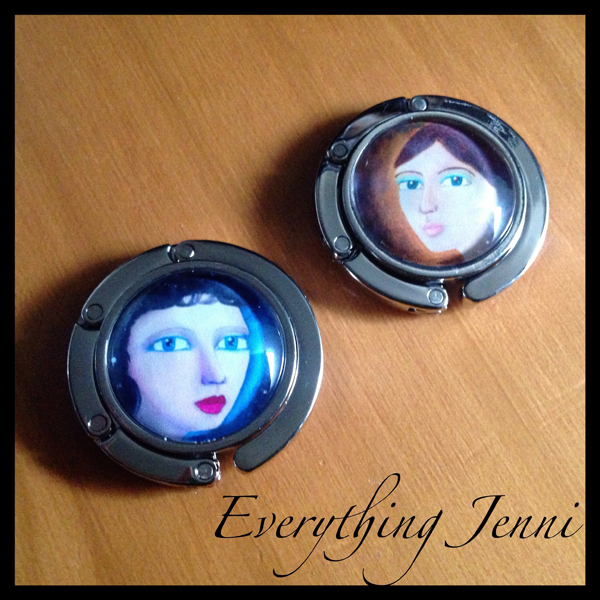 "I absolutely love Jenni's art work. 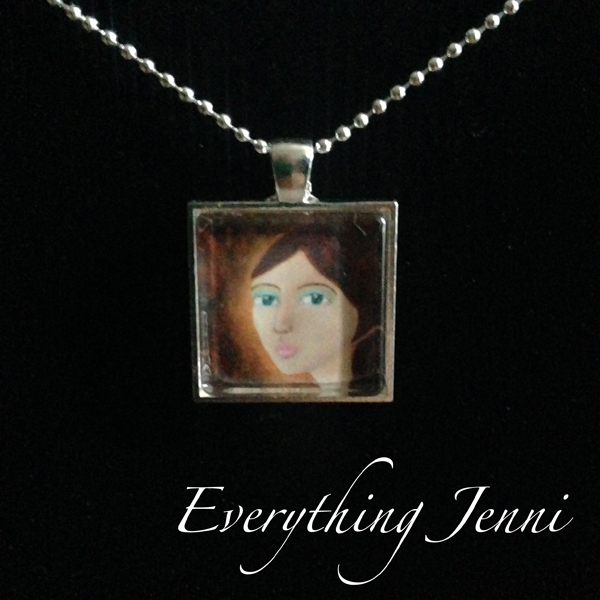 She has a gift for creating pieces that really stand out. I have purchased necklaces for myself and gifts for my friends."